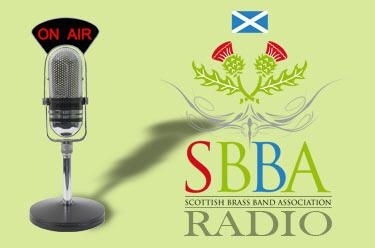 NYBBS celebrates it’s 60th birthday so our competition was to compose a new March. 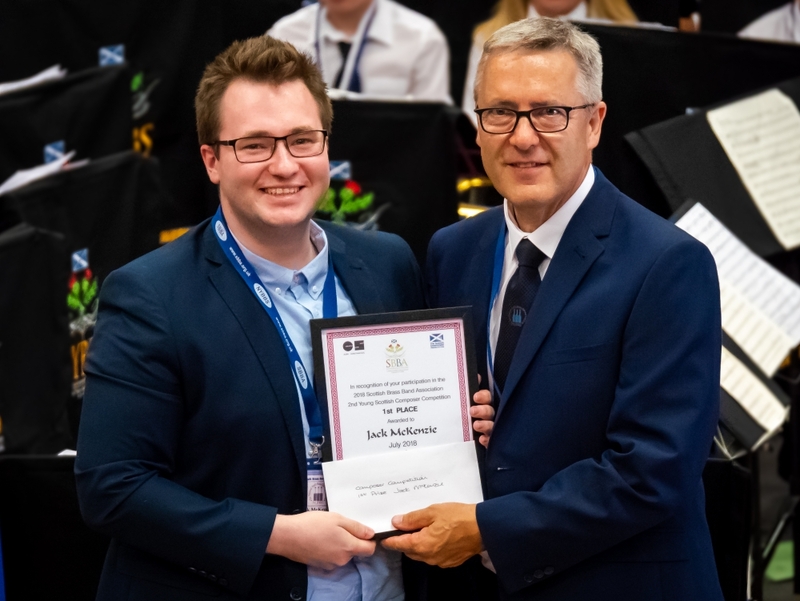 The competition was open to young Scottish Composers, up to the age of 23, who were invited to submit an original march composition for brass band. A panel of judges chose the top 3 compositions, with prizes of £1000 (1st) £500 (2nd) and £250 (3rd), with the winning march being premiered at the NYBBS@60 celebration concert, The Albert Halls, Stirling on the 29th July 2018. The winning composers will also be offered mentor sessions with well-known composers. 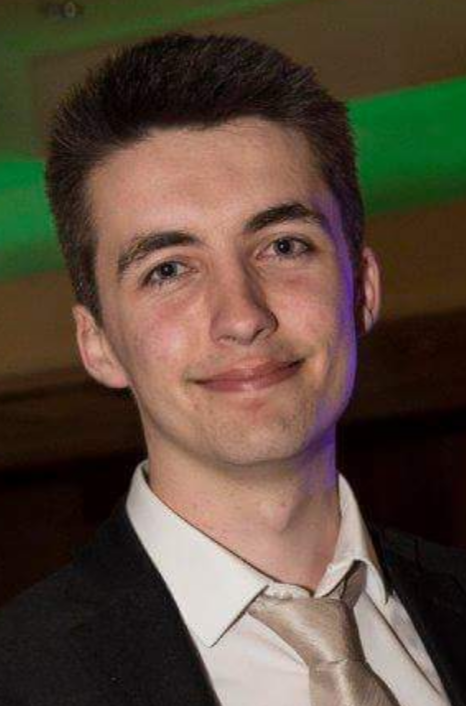 My name is Jack McKenzie and I am a current Undergraduate Music student studying at Edinburgh College. I was first introduced to music when I took up playing the trumpet in Primary 5 as part of my local Council’s ‘Instrumental Music Programme’. Through this I have had many great experiences playing in all different genres of music from Wind bands, Orchestras, Jazz Bands, Brass Ensembles, Funk Bands and Solo performances. I took a great interest in composition early on in my musical development, having had such a wide variety of musical genres to use as my influences. Ross Bahlaj's interest in brass music began when he started learning the cornet through Kingdom Brass's youth initiative. After a few years on the cornet he switched to the euphonium, then switched again to trombone. Ross played for many brass bands in Fife including Dysart, Kingdom B and Tullis Russell Intermediate. After leaving school Ross went on to study music at the University of Glasgow. When he moved to Glasgow he first joined Croy Silver band. Later Ross moved to the Kirkintilloch Band and then to the Cooperative Funeral Care Band, where he is currently principal trombone. Ross hopes to continue playing in brass bands and also continue to develop his composition skill in the future. Andrew was born in Scotland (1995), he began his musical studies at an early age with lessons in piano, and later in trombone and guitar. 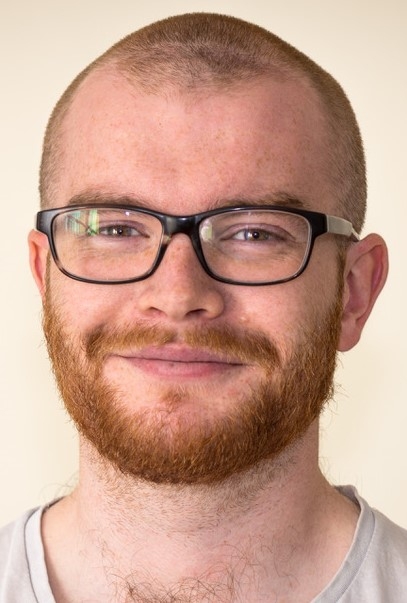 Having studied for a Bachelor's degree in Music at the University of Edinburgh (2012-2016), he has recently completed his Master's degree in Music Composition (The University of Edinburgh, 2016-2017) where he studied under the guidance of Prof. Peter Nelson. Andrew has had works performed and workshopped by such renowned ensembles as The Edinburgh Quartet, Red Note Ensemble and the Quasar Saxophone Quartet.